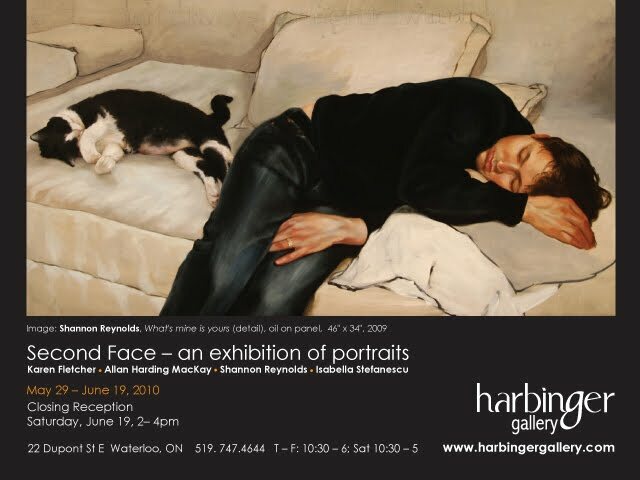 I have a couple of pieces in a new group portrait exhibition opening this Saturday at the Harbinger gallery in Waterloo. Both are from my ongoing series At the Feet of the Master(ed). One, What's Mine is Yours, is featured on the invitation, above. Three of the four artists in the show--Allan Harding MacKay, Isabella Stefanescu, and I--were featured in the first season of Star Portraits. Karen Fletcher, a figurative sculptor, adds another dimension to the show. 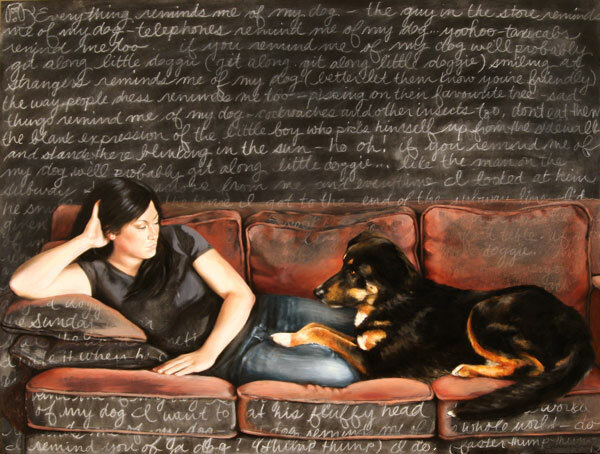 My new painting, If you remind me of my dog... I'm publishing here for the first time. For more information about the exhibition, please visit the Harbinger Gallery website. Wonderful! This is really beautiful. I love the way you handle the paint, and the incorporation of the text is really well done.